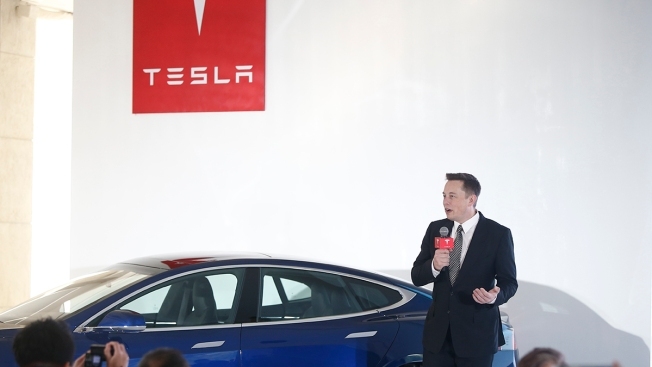 In this October 2015 file photo, Elon Musk, Chairman, CEO and Product Architect of Tesla Motors, addresses a press conference in Bejing, China. In a letter to company employees that he also posted on Twitter, Musk explained that the company is eliminating 9 percent of its workforce but that production associates will not be among those cut. The layoffs will affect salaried staff, according to NBC News, but are unlikely to affect the company’s development of a new Model 3 sedan. “We made these decisions by evaluating the criticality of each position, whether certain jobs could be done more efficiently and productively and by assessing the specific skills and abilities of each individual in the company,” Musk wrote.